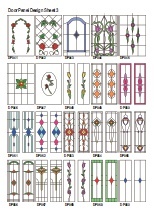 The stained-glass pane is a type of glazing unit with an individual and permanent pattern. 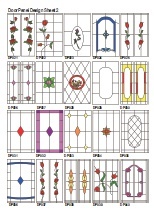 It is obtained through super-imposition of the resin outline onto the pane’s surface. The space between the lines is filled with coloured resin. The resin outline is not transparent. The coloured space between the lines is partly transparent depending on the dye intensity. It is also possible to leave the sole outline on the pane. The stained-glass pattern for cleaning reasons and visual effects is placed on the inside of the glazing unit. 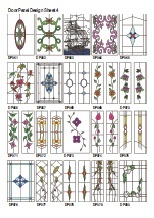 It is possible to lay down on the pane any one of the 200 patterns or to design a new one, suiting the Customer’s taste. Customers’ own designs are also welcome. 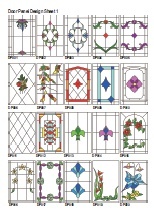 The resulting window has got an individual and permanent pattern matching the distinct character of the room. A roof window with the stained-glass pane makes the interior look exceptional, adding originality to any loft arrangements. Self-cleaning glass prevents the build-up of dirt on the window. It has an active coating on the outer surface, which works in two ways. Firstly, it absorbs ultraviolet light from the sun, causing a reaction on the surface of the glass which breaks down and loosens dirt. Secondly, the glass surface has a coating which, when rain or water flows across the window, causes it to do so evenly across the surface instead of forming water droplets, thereby taking dirt with it. In comparison with ordinary glass, the water dries quickly without staining. 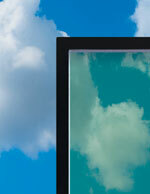 Self-cleaning glass is double glazed, with the inside pane glazing having a low emission coating. This type of glazing is made up of two sheets of glass, each 3 mm thick, and between each layer is a 0.38 mm layer of PVB plastic membrane. Laminated glass is positioned on the inside of the double glazing, and has a low emission coating. The outside pane is made of toughened glass. If broken, laminated glass remains stuck to the plastic membrane. Laminated glass also reduces penetration of UV rays by up to 95%. Limits the penetration of sun into the room. This glass is available in a range of colours: blue, brown, grey and green. 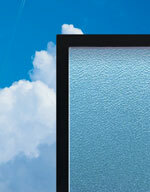 Tinted glass is toughened and is used on the outer pane of the double-glazing. The inside pane has a low emission coating. One side of the window is smooth, while the other side has an embossed pattern. The patterned surface is on the outside of the window with smooth glass on the inside for ease of cleaning. 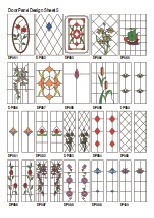 Obscure glass is toughened and is used on the outer pane of the double-glazing. The inside pane has a low emission coating. Reflects sunshine. Available in blue, brown, grey and green plus a clear version. Reflective glass is toughened and is used on the outer pane of the doubleglazing. The inside pane has a low emission coating. This is triple-glazing which includes a 4 mm thick toughened outer pane, and two 4 mm toughened panes with low emission coating on the inner faces of the glass. The 10 mm space between panes is filled with inertgas. This method of glazing construction ensures exceptional energy efficiency with U Value of 0.5Wm2K, almost completely preventing heat loss through the roof window. Significantly reduces noise penetration. It is constructed from toughened glass on the outside, and specially laminated glass inside. The laminated glass has a layer of soft, sound proofing epoxy resin, and a low emission coating. The glazing cavity is filled with gas, which also reduces noise penetration. Sound-proof glazing is made to an exceptionally high specification (Rw = 40dB). Sound-proof windows have two seals but do not include an air vent. 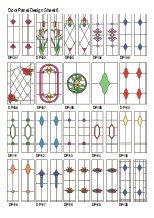 Security glazing offers increased resistance against breakage. Security glass is positioned on the inside, and is constructed of two sheets of 4 mm glass with a layer of 1.52 mm PVB in between. 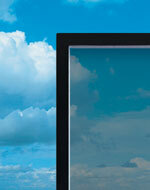 Security glazing includes a low emission coating. The outer pane is made of toughened glass. Significantly reduces the possibility of break-ins through the roof window. In cases of damage or shattering, pieces of glass will stick to the membrane, reducing risk of injury. Reduces harmful effects of UV radiation by 99%.